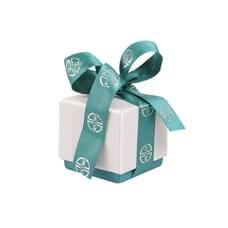 Do you want a custom packaging for your jewelry products? 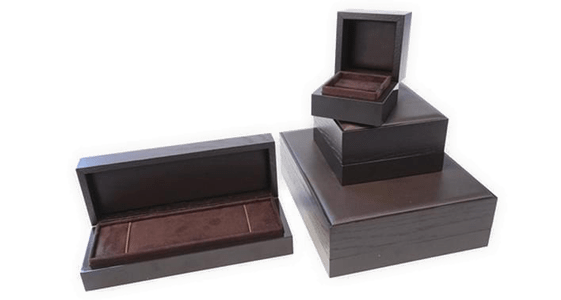 On this page, you will find the complete range of our jewelry boxes: we produce jewelry box from scratch, designed based on your specific requests, but we can also modify existing designs. 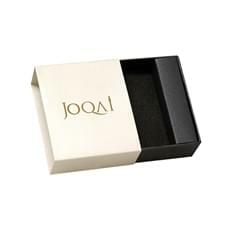 A personalized packaging is essential to enhance your jewelries, in whatever context they are exposed, and to give voice to your brand identity. 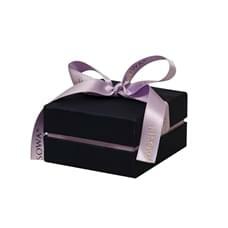 Find out below how to personalize your jewelry boxes with our proposals. 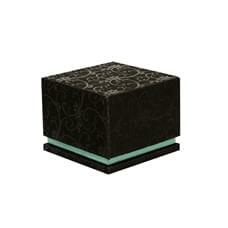 You can choose different forms of jewelry boxes: hard cases, round cases, cases for elongated jewels, flattened, casket. You can dress them with different materials, apply your logo or brand name on one of the face of the box, use suggestive color schemes and apply branded tapes. Not only that, on request we provide a design study of the layout, which will allow you to create the coordinated image for your jewelry in terms of matching colors and materials. With jewelry boxes combined with exhibitors and other items, your jewelry will communicate its visual identity, instantly recognizable. 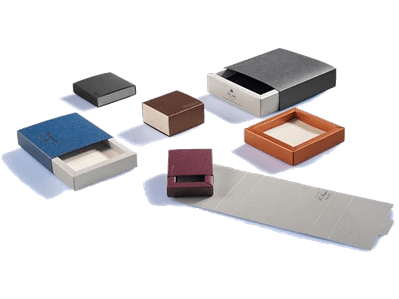 Jewelry boxes are an integral part of your offer, because when a jewel is purchased, perhaps to give it to an important person, much of the expectation is built from the appearance of the box. 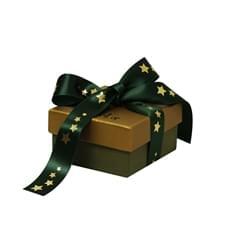 Jewelry boxes of high quality and modern design elegantly anticipate their precious content and strike the attention of the lucky recipient. That is why you have to count a lot on the choice of your jewelry boxes and not consider them simple containers, but elements able to exalt the value of your jewels. 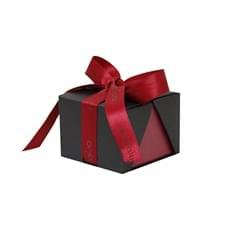 A recognizable packaging becomes a guarantee of the notoriety of your brand, and enriching the case with your logo, writings or other characteristic graphic elements, associate your brand to the idea of quality and attention to details. 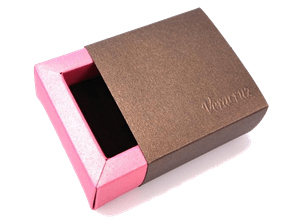 As you can see through all the jewelry boxes presented in this section, in To Be Packing we make of the variety a strength: variety of sizes, shapes and shades for your jewelry boxes. 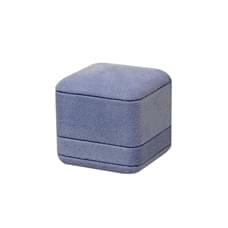 You can choose between decided and squared shapes, like the classic case EASY or CLICK models, or decide to break the patterns and opt for a box with soft and rounded lines (for example the GIROTONDO model). If you prefer an essential and minimal style, tip on case types such as the PRIME BOX or the CRUISE. Do you want something more lively? Choose a PARISIAN or an AIR. 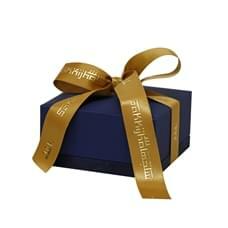 And for high-end boxes, we offer 3 top series: The ELEGANCE, the PLUS and the GOLD line. 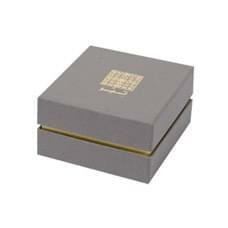 Our jewelry cases are made from two basic elements for the structure, rigid cardboard or wood. Depending on your needs, you can choose the most suitable material for the coating, but you can also leave the cardboard and the wood in bare version. For the coating, we offer materials such as cotton, Pellaq, Setalux, Similvelluto, wood effect paper, Plike, Sirio, Crocus and many others. Each of these coatings is available in different colors: warm or cold, shiny or opaque, soft or more decided, classic or modern. CASE 50, with contemporary design. 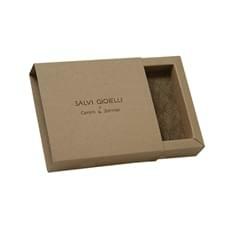 Cardboard jewelry boxes are economic, light and boast a minimal design that always attracts. 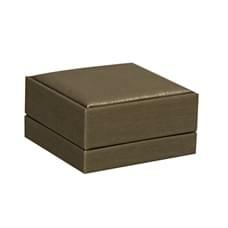 Most of our jewelry boxes are made of cardboard, studied and designed to offer a unique mix of feelings that involves both sight and touch through different colors and materials. 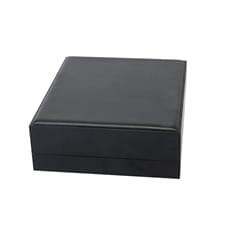 Of course, carboard jewelry boxes are available in different models, sizes and can be customized by choosing the desired combination of materials and shades, playing with the available coatings. 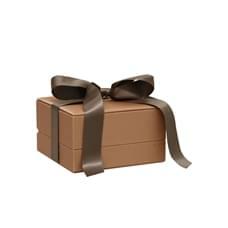 Our staff will help you in finding the best way to express your brand identity via the visual element of the boxes. 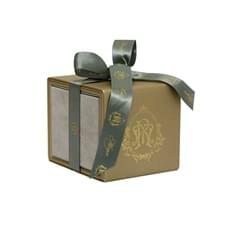 Once you have chosen your box, you can pair it with ribbons and shopper branded with which to close the packaging elegantly. 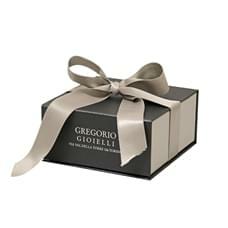 For each jewelry box, we offer an assortment of ribbons to complete with your logo, brand name, writings or other graphic elements. 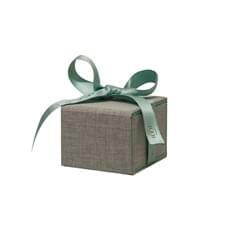 Not only ribbons and bags, but also custom embossed paper, vellum, pack, plasticized or metallized, customizable with the colors and elements of your brand identity. Among our jewelry boxes, you won't even find a model that will make you say "already seen", because each specimen is unique, customizable, coordinating and the result of a skilful production process that combines the most modern technologies to the secrets of the artisanship. 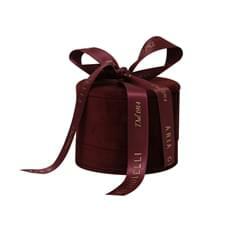 All the production is internalized: our products are original, built with quality materials, and proudly made in Italy. 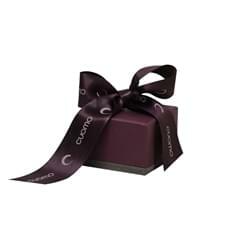 Do you want a coordinated image for your jewelry? We will create your personalized combination with your logo and colors and materials you like more! Are you looking for a display for jewelry? 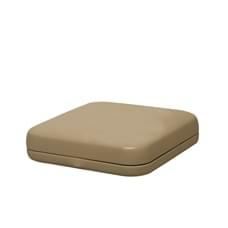 Choose among the numerouses combinations of colors and materials To Be Packing or even personalize it!